How do you survive the onslaught of Life when everything that you thought was yours is taken away from you? Where do you re-start Life from when you are left in the cold – helpless, hapless, battered, and bruised by Life’s blows? What do you do when you have nothing material left anymore with you other than perhaps the clothes you are wearing? Some people have the support of their families and some don’t at such times. Either way, sometimes Life’s situations may be so numbing that there as only questions and no answers! You may at various times in your Life have braved many a storm or perhaps may be going through one just now. When you sit back and think about the Life you have, you will realize that there is no other way to live Life than to accept what is, no matter what it is. 1. Accept the reality that you are in the throes of a crisis. Don’t resist the situation. Don’t wish that it didn’t exist. Simply accept it. 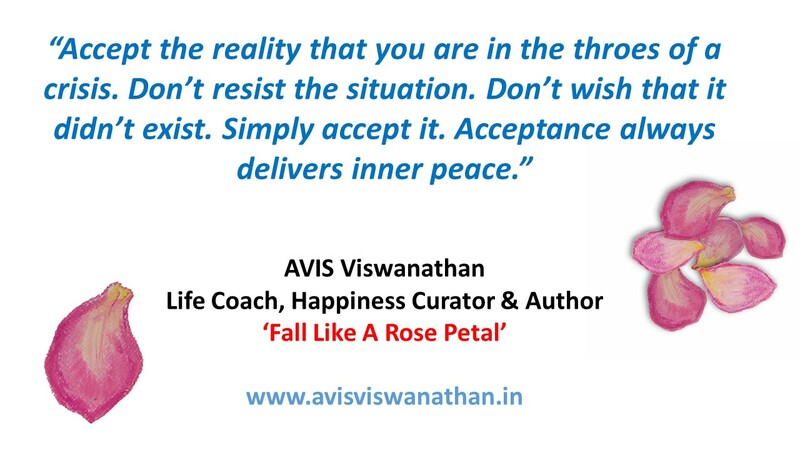 Acceptance always delivers inner peace. 2. Focus not on the strength of the storm but on your true self. Know that the storm will always be strong. It will be menacing. It will threaten to destroy you. By even thinking of its ferocity, you are only going to feel debilitated. So, focus on your inner self. Just mindfully watching your breathing can help. 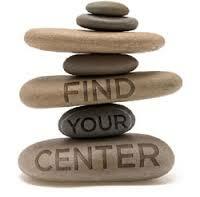 When you are mindful, always, you will find calm and inner peace. From that calm, you will gain strength. 3. Always ask this simple question which can often lead you to profound answers: “Given the situation I am faced with, what is the best thing I can do to make things better for everyone concerned?” Employ key criteria for choosing what action you can take out of many possible options that may follow the question: your action must always be positive, constructive and ethical. 4. In particularly complex Life situations which can often dog you for months and years, it is worthwhile to revisit Tip # 3 on a daily basis and choose your daily actions only basis those criteria. 5. No matter how intense it is, no storm lasts forever. All storms have to pass. So, this one too shall pass. Just remember that. This may seem too simplistic for you to even believe it works. But this is the only way it works __ no matter what you are faced with! Life’s challenges come in different shapes and sizes, in the form of storms of varying intensities. We cannot stop the storms because we don’t have the controls to Life’s mechanisms in our hand. But our facing each of them with humility, with faith and patience, can convert any ordeal into an opportunity to evolve and awaken!